A recent podcast on WNYC’s Radiolab focused on a question raised by one of their guests, writer Ian Frazier. Specifically, while researching a book, Frazier lived with a Russian family whose 6-year-old son who had never heard of the game tic-tac-toe. Frazier then asked around and discovered that none of the Russians he spoke to had ever heard of the game. 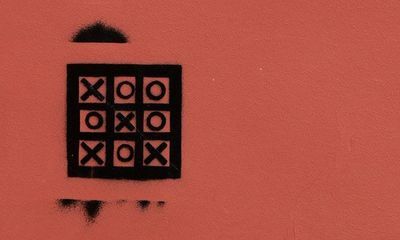 That led the Radiolab hosts to conduct an experiment to crowdsource an answer to the question: What are the boundaries of tic-tac-toe-dom? Listeners from around the world responded to the call for help and proceeded to ask (and audiotape) people across the globe about tic-tac-toe. The results were striking; huge areas of the globe had never heard of tic-tac-toe, leading the hosts to speculate that Frazier, who had been happily (if not shamelessly) dominating play with his 6 year old housemate, could achieve world-champion status in international tic-tac-toe competition. This is a particular problem in the field of elections, where decentralized control means that it is possible to have fifty or more separate languages in play simultaneously. Through my years in the field, I have discovered that these multiple languages mean that comparing election laws, practices and procedures across jurisdictions isn’t so much a problem of “apples to oranges” as it is the whole fruit salad. The danger of the “fruit salad problem” is that officials and policymakers in each jurisdiction can assume – just as the Radiolab hosts initially did – that their system is as unique as their terminology. What can get lost as a result is the opportunity to identify common best practices and cautionary tales that could benefit voters in multiple states. There have been efforts over time to build a common language as part of the U.S. Election Assistance Commission’s Election Day Survey, but these are still in their infancy. Here at Humphrey’s election administration program, we look forward to being part of future conversations – and we look forward to the day when the language we use is familiar to all. Be the first to comment on "Tic-Tac-Toe-Dom and the Fruit Salad Problem: A Little Common Terminology Goes a Long Way"